Two thirds of Australian organisations that have deployed Internet of Things (IoT) technologies are reporting they have achieved cost reductions of 28% on average in operations and productivity, while more than a third report increased revenues. Of the 26% of Australian organisations working with IoT solutions, 65% report operational cost savings and 53% are saving costs by improving productivity and efficiency. IoT has increased revenues for 38% of companies, by an average of 33%. 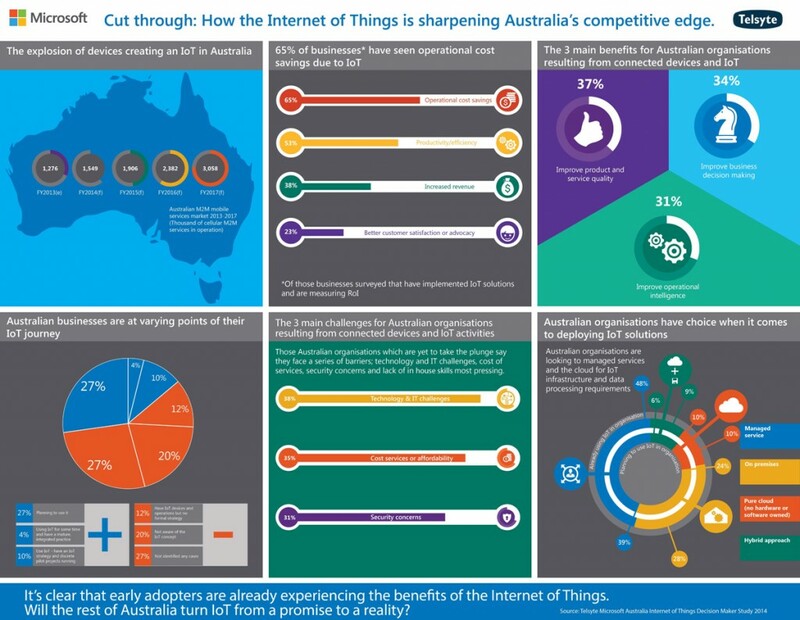 These findings come from a new Telstyte report for Microsoft, ‘Cut through: How the Internet of Things is sharpening Australia’s competitive edge’, which surveyed 300 Australians companies about IoT. The Internet of Things (IoT) is the network of physical devices (such as machinery, cars, lighting, manufacturing equipment and sensors) that interact with each other and with business software systems. The IoT collects and collates data from those connected devices – data that can be used to improve customer service, increase revenue or reduce costs. Technologies like Supervisory Control and Data Acquisition (SCADA), mobile machine-to-machine (M2M) and other networked industrial control systems are also defined as part of the IoT in this report. Despite the returns provided by IoT, the report points out that nearly half of the companies surveyed (48%) have no immediate plans to try the technology. One in five Australian organisations is unaware of the concept of IoT and its implications for business. 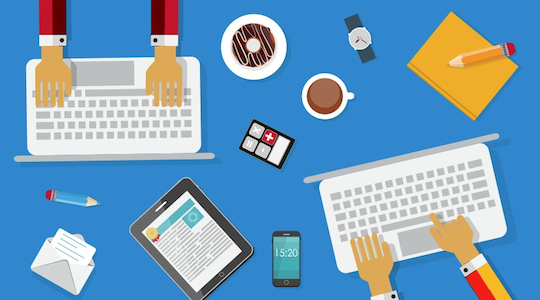 Just 4% of IoT users currently consider themselves mature users. lack of understanding by organisational management. Lee Hickin, Internet of Things Group Lead, Microsoft Australia says the report shows that organisations are beginning to realise the power of IoT. prepare for real time data: model processes around immediacy to build long-term competitive advantage. Find out more about the Internet of Things in our trend report when you download Marketing‘s free content pack showcasing the Marketing Advantage membership.